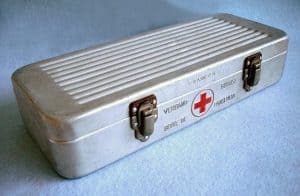 I’ve talked before about the importance of having a fully-stocked first aid kit and made this Complete Home First Aid Supplies Checklist and this Wilderness First Aid Kit Checklist. However, having first aid supplies isn’t going to do you much good if you don’t know how to use them. 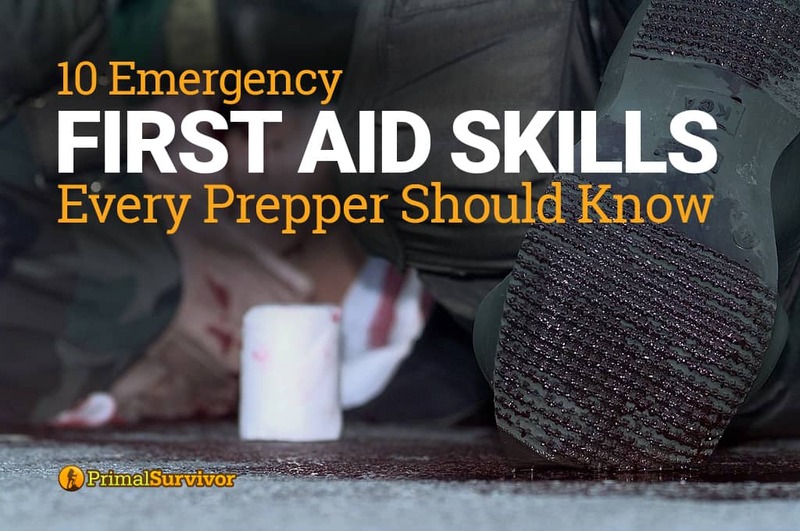 Here are the top 10 first aid skills that every prepper (and everyone else too!) should know. Capillary Bleeding: These are smaller wounds that have just affected capillaries. The blood will ooze out. These injuries are not critical but care should still be taken to prevent infection. Venous Bleeding: If a vein has been severed, then more blood will come out of the wound. The blood will not spurt but rather comes out steadily. Venous bleeding can be dangerous in some situations, especially if multiple veins have been affected. Arterial Bleeding: This is the most critical type of bleeding. The blood will come out in spurts and will be a brighter red color. Because arteries are typically under so much pressure, it is important have lots of pressure is put on the wound to stop the bleeding. The heart is literally pumping blood right out of the body! A common mistake that people make is not applying enough pressure to the wound. When arterial bleeding has occurred, you need to apply direct pressure to the wound with a clean, sterile pad. You should also elevate the injured area above the heart. Here is what Harvard Health has to say about treating severe bleeding. Whether it is a smaller capillary wound or an arterial wound, it is critical that you clean and dress it properly. Otherwise infection could occur, or bleeding could start again. Make sure your first aid kit is stocked with enough sterile dressings. 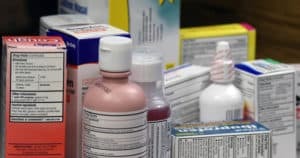 You’ll also need supplies like irrigation syringes and cotton balls for cleaning out the wound and antibiotic ointments to prevent infection. I’m kind of surprised how few people know how to properly treat fever. Of course, in an everyday situation, you should get professional medical help for severe fevers. If it is a disaster situation though and you cannot get to an ER, then you need to take steps to reduce the fever yourself. Read here what Cleveland Clinic recommends. Most of us know that you should use the Heimlich maneuver when someone is choking. But how many of us have actually practiced the Heimlich? Also, do you know the procedure for when a child or infant is choking? A good first aid course will have dummies which can be used for practicing. Practice is really important because it will help ensure you perform the Heimlich thrusts at the right place on the abdomen. Like with the Heimlich maneuver, it isn’t enough to just know the steps of CPR. You’ve actually got to practice them! What surprises a lot of people trying out CPR for the first time is just how hard you have to push down during the chest compressions. Remember the goal of the chest compressions is to manually pump the heart! You have to push down about 2 inches. You’ve also got to do it very quickly (30 times at a rate of 100 pumps/minute). This is not easy to do if you haven’t practiced! Another mistake that people make with CPR is that they compress on the wrong part of the chest, which can cause ribs to break. If a rib breaks during CPR, you have to continue doing it. And yet another mistake made with CPR is that the person giving aid forgets to tilt the patient’s head back and pinch the nose. If you don’t do this, then the air will go into the stomach instead of the lungs. *Just because a person is unconscious, it doesn’t mean CPR is necessary! One of my first aid instructors illustrated this point with a story. A man collapsed in a butcher shop. The butcher, wanting to help, starting administering CPR and broke a few ribs in the process. Well, it turns out that the guy was just unconscious but still breathing, so CPR was completely unnecessary. Hence why the first steps of CPR is to check whether the patient is responsive and breathing. Shock occurs when there isn’t enough blood circulating to the brain so the brain doesn’t get enough oxygen. When this happens, the patient may feel faint, dizzy, disoriented, anxious, or look pale, have slow breathing, and have a weak pulse. Shock can occur for many reasons, such as when there has been a lot of blood loss, an infection, or injuries that cause loss of fluids. If someone is in shock, they should lie on their back with their feet elevated. This is so the blood will circulate to the brain better. Cover the person with a blanket to keep him/her warm. You never should give a shock patient water because it could lead to choking! This first aid skill is particularly important for people who go into the wilderness. If a bone breaks, you’ll need to use a splint to prevent movement. You can fasten a splint out of branches secured in place with bandages. You could also use a triangular bandage in a pinch. A splint is also necessary for treating venomous snake bites. When I was 8 and backpacking with my dad, I went swimming for too long and got hypothermia. When my dad found me, I was curled up in a ball next to the lake and completely disoriented. In severe cases of hypothermia, you should avoid moving the patient. If possible, warm the patient on location. Or, make sure to move the patient very gently to the warmer location. In no case of hypothermia should you put the patient in a hot bath or use hot pads! This can cause blood capillaries to burst! Here is what the NHS has to say about hypothermia. No one likes to talk about it, but there are many hygiene risks that come with disasters such as sewage flooding and disease outbreaks. 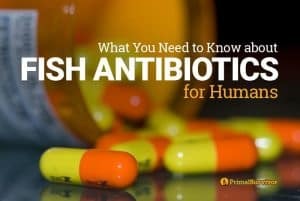 Even if the disease you catch isn’t deadly, it could cause diarrhea or vomiting. In survival situations, both of these can be very deadly! Keep some antidiarrheal and anti-vomiting agents in your first aid kit. You’ll also need electrolyte solutions for dehydration. If caught without the necessary meds, it is possible to use these natural diarrhea remedies. Drinking water isn’t enough to treat severe dehydration! It isn’t enough to learn first aid skills. You also must learn the psychological skills necessary for putting all your first aid knowledge to use. We commonly refer to this as mental preparedness and it is what sets you apart from those who panic and those who respond to emergencies. Think, for example, what you’d do if a family member was just severely injured. Would you be able to put aside your emotions and take the right emergency response steps? The best way to develop mental toughness for emergency situations is to PRACTICE. Reading tips and watching videos on the internet is not enough. You need to sit in on a live course, preferably in the field and lots of opportunities to practice on dummies and partners. Here are some places you can take first aid courses and get the practice you need for emergency preparedness! If you live in Arizona, then check out Independence Training. They offer emergency first aid training and have a podcast too. Thanks to all of the Primal Survivor group members who gave me tips on where to find first aid courses and training for preppers! Have you taken a good first aid course? Let us know where! Add your reply in the comments. I assume you meant that CPR needs to be done 30 times at a rate of 100 pumps/*minute* not /second. Yes that should be per minute – thanks for catching that typo, have fixed it. 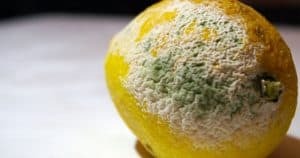 This would have been a great article if I could have printed it out for our prepper group, but it cut the edges or skipped some altogether.